"It's Not What You Wanted", the new video from WE ARE THE RIOT, the Los Angeles, California-based hard rock band featuring COAL CHAMBER members Miguel "Meegs" Rascon (guitar) and Mikal "Mikey" Cox (drums), along with former STATIC-X bassist Andy Cole, can be seen below. The clip, produced by Brian Cox at Digital Iris, was filmed at the Salton Sea near Palm Springs, California. "It's Not What You Wanted" is taken from WE ARE THE RIOT's "The Hollywood Sessions Demo" EP, which is currently available at iTunes and Amazon. WE ARE THE RIOT was initially by Rascon and longtime friend Cheyne Fritts (guitar) in 2010 in an effort to re-enter the music scene with a brand of rock that encompassed the raw emotion and energy of COAL CHAMBER, but with melody that could bridge a gap and capture a wide audience. This would be the first time that Rascon and Cox had played together since COAL CHAMBER disbanded in 2003. Rascon built the band with musicians that he thought could deliver his dream with conviction, attitude and energy. It started with Cox on drums and was soon followed by Andy "The Kid" Cole on bass, who was the late replacement for Tony Campos in STATIC-X (now WAYNE STATIC). The band launched in 2010 playing shows around the greater Los Angeles area, to initial rave reviews. 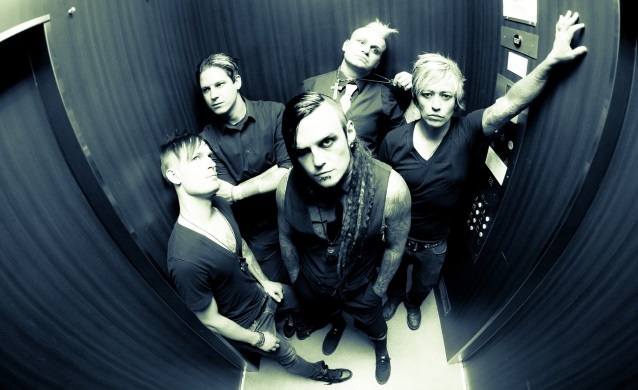 The band took an indefinite hiatus in 2011 to allow for COAL CHAMBER and STATIC-X reunions/tours, and to find a permanent frontman who could capture the audience's ear and imagination. WE ARE THE RIOT used the intermittent touring schedules as an opportunity to go back to the creative drawing board and write a record that far surpasses anything anyone has previously written, in addition to filling a perceived huge hole in the rock scene. On October 21, 2013, WE ARE THE RIOT, fronted by new singer Jimmy Trigger, re-launched itself to a packed House Of Blues Hollywood. The overwhelmingly positive response from fans, friends and family reinforced the attitude that WE ARE THE RIOT are throwing down the challenge the industry, bands, and fans to step up and get rock back to its raw and motley roots. In April 2014, WE ARE THE RIOT released its debut EP, "The Hollywood Demo Sessions", a three-song sampler. The band celebrated the EP release by completing its first national tour as direct support for Wayne Static of STATIC-X. The trek was an enormous success, with WE ARE THE RIOT barely leaving the crowd with energy for Static's set every single night. WE ARE THE RIOT will enter the studio in November to record a full-length album for an early 2015 release.